According to Ayurveda, a person’s constitution, also known as prakriti, is established at conception and is responsible for influencing one’s physique, physiology, mental character, and general preferences. If your dominant dosha is kapha, your constitution or prakriti would be kapha type. Kapha dosha is made up of the elements of water (jala) and earth (prithvi). While coldness is the inherent nature of kapha, it also exhibits qualities of smoothness, heaviness, rigidity, oiliness, and dullness that primarily affect the bones, muscles, and other dense body structures. It has a binding influence and is regarded as the cellular glue that holds body structures together. All individuals possess a unique constitution and ratio between different dosha types. In order for individuals with predominant kapha dosha to stay healthy, it is vital for them to keep kapha in balance and prevent it from reaching excessive levels. To balance your dosha levels you need to use a combination of lifestyle measures including diet, yoga, and seasonal guides. Ayurvedic herbs provide an additional edge not just for maintenance of balance, but also to treat dosha imbalances as and when they do occur. Some of the best Ayurvedic herbs for a kapha constitution include the following. Loosely translated, the Sanskrit term for this herb means ‘one who keeps you away from disease’. Bibhitaki has been traditionally used to treat throat, eye, and hair related health conditions. 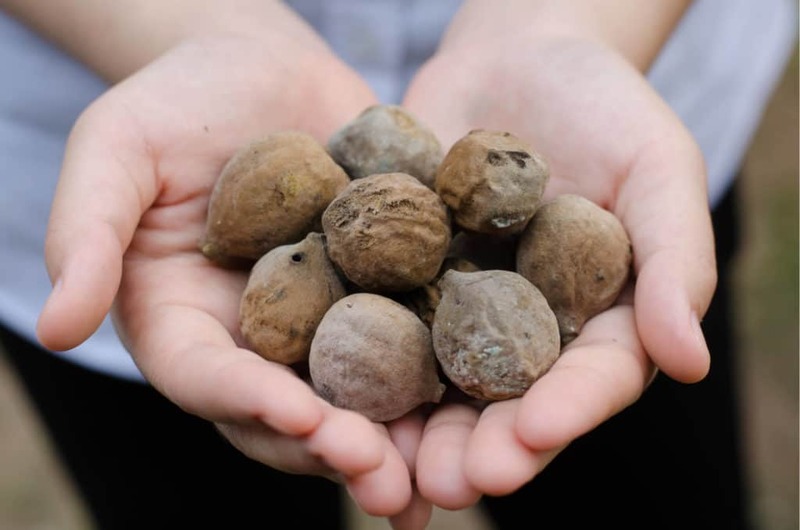 Due to its strong therapeutic properties, it has also become one of the three primary ingredients of Triphala, one of the most widely used and popular of all Ayurvedic formulas. The small and dry fruit is notable for its strengthening and astringent qualities that affect the mucus membranes throughout one’s body. Furthermore, it has strong heating qualities that make the herb a perfect remedy for balancing excessive kapha. As one study based on comprehensive research concluded, bibhitaki also boasts of immunomodulatory effects that can enhance natural protection from infections. 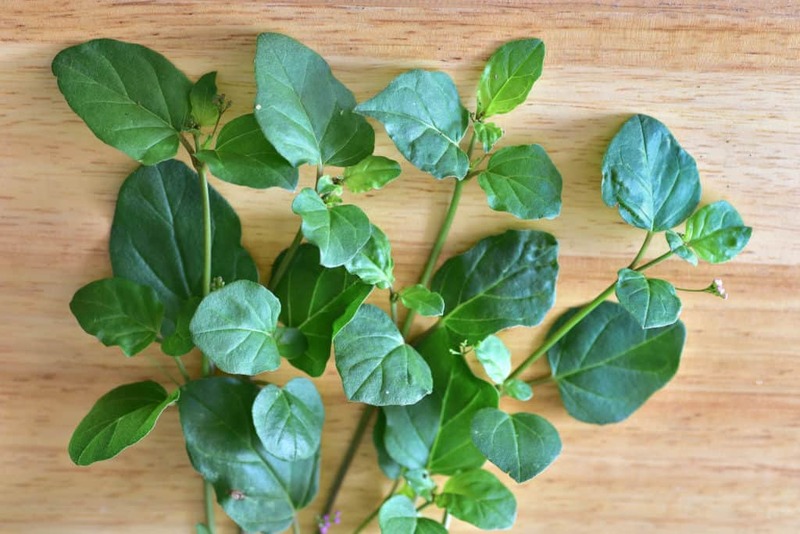 Furthermore, a study investigating antioxidant and antiproliferative effects of Terminalia bellirica suggests that the herb could be used as an antioxidant and cancer or chemoprotective agent. In use since as early as 750 BCE, chitrak, also known as Ceylon leadwort, wild leadwort, and doctorbush, is an herb with a potent root that has been commonly used as an anti-atherogenic, neuroprotective, cardiotonic, and hepatoprotective agent. Due to its ability to strengthen the digestive fire (agni) and support healthy digestive function, chitrak is an excellent choice for those trying to balance aggravated kapha symptoms. In addition, the herb also excels at lowering the buildup of ama or toxins, a byproduct of poor digestion that is commonly associated with spiking kapha dosha. Punarnava is an herb that is indispensable to Ayurvedic medicine for its potent anti-inflammatory properties. Due to its ability to reduce swelling, it has been traditionally used to relieve pain and treat various inflammatory conditions. Punarnava comes with a bitter, astringent taste, and a post-digestive pungent effect. On top of that, it exhibits qualities of heat, lightness, and dryness that are in contrast to kapha. These combined effects make it an excellent solution for pacifying aggravated kapha as well as vata. 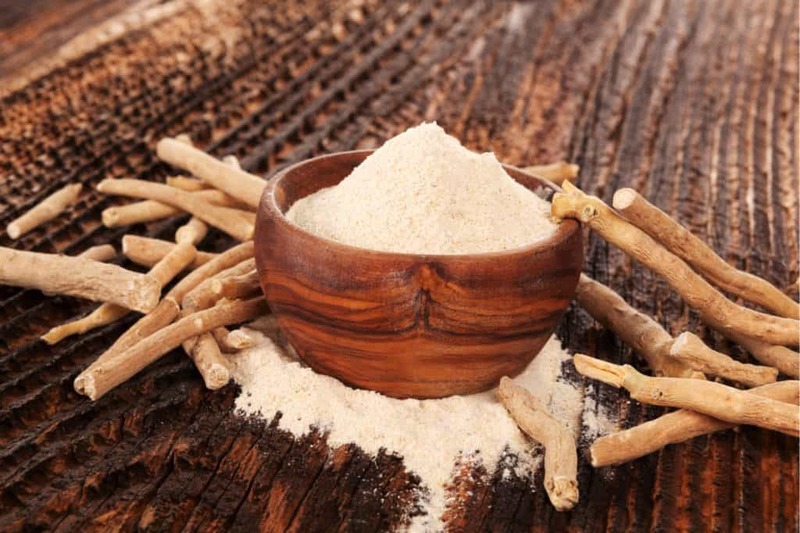 Thanks to its revitalizing properties, ashwagandha is also known as the Indian ginseng, even though the herb and ginseng are botanically-speaking unrelated. The plant has been traditionally used to strengthen mental focus and calm the nervous system. It is also a mainstay in herbal and Ayurvedic products for bodybuilders, as it promotes muscle growth. 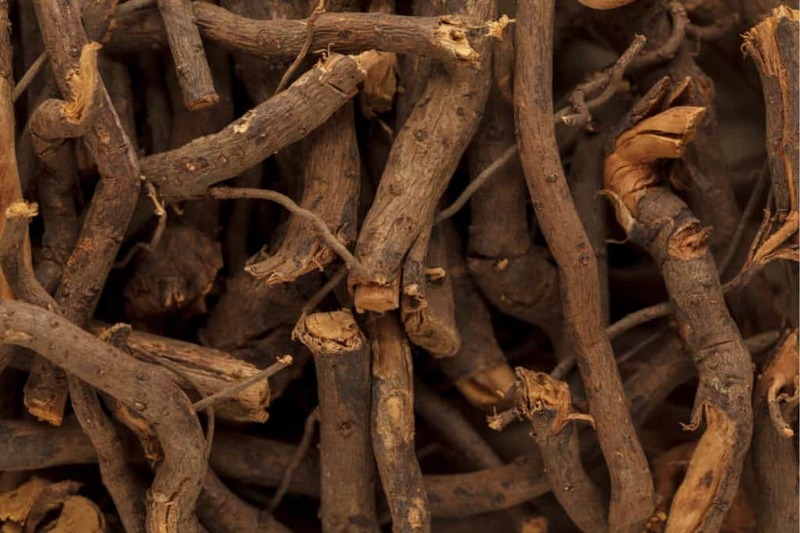 Due to its bitter and astringent taste along with its heating abilities, ashwagandha is recommended for treating kapha or vata imbalances. Because of its high potency, the herb should be consumed in moderation to avoid aggravating pitta. Multiple controlled human studies seem to confirm the effectiveness of ashwagandha in decreasing symptoms of anxiety and stress. In one 60-day study that involved 64 subjects, an average reduction of 69% was observed in symptoms of insomnia and anxiety. The placebo group, however, only experienced symptom reduction of 11%. Furthermore, the same study proposes that ashwagandha may help lower cortisol levels, which are associated with stress. High levels of cortisol and prolonged exposure to high levels can increase your risk not just of clinical depression and chronic stress disorders, but also of physiological conditions like obesity and other metabolic syndrome disorders. 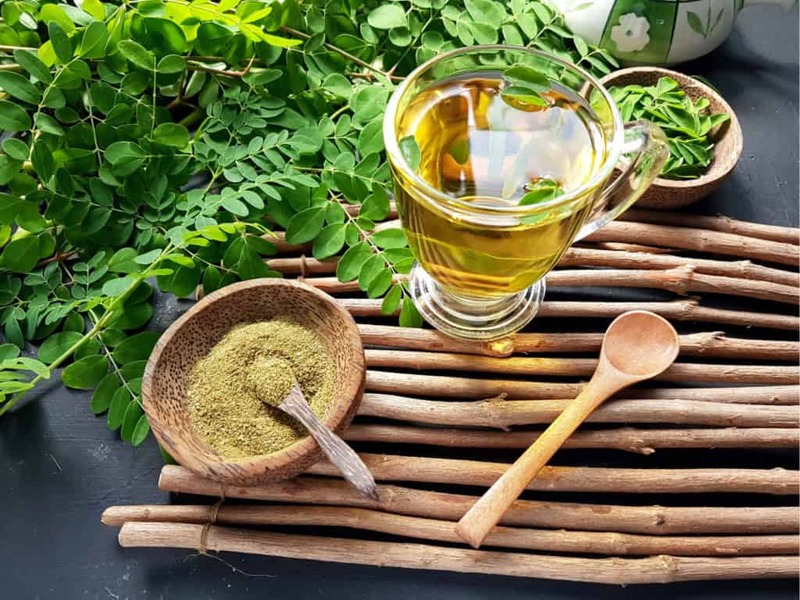 Also known as the miracle tree, drumstick tree, horseradish tree, ben oil tree, or benzoil tree, moringa has been a staple of traditional medicine in parts of Asia for well over 4 millennia. Long prized in Ayurveda for its healing power, it is now gaining increased interest globally because of studies that point to potential therapeutic applications. It is still widely used in various traditional remedies and formulas. When consumed in moderation, moringa is perfect for pacifying kapha and boosting low pitta levels. The herb comes with sharp, dry, and light qualities that are ideally suited to individuals with a kapha constitution. As an increasing number of studies suggest, moringa is rich in nutrients, antioxidants, and anti-inflammatory compounds that could help in the management of heart disease, joint pain, diabetes, high blood pressure, viral and bacterial infections, asthma, and thyroid disorders. While the herbs mentioned above do have a stabilizing influence and will help balance your kapha levels, there are plenty of other herbs and foods that you can use to find that balance. To understand the classification of herbs based on prakriti or dosha type, we have plenty of insights from classical texts. They recommend herbs based on specific tastes because of the corresponding effects on each dosha. Since kapha is known for its coolness, unctuousness, heaviness, dullness, smoothness, stability, and binding nature, individuals with a kapha constitution should avoid cooling or heavy foods and herbs with sweet, salty, and sour tastes, as they tend to increase kapha’s qualities. Instead, kapha individuals should opt for herbs with pungent, bitter, and astringent tastes to help stabilize kapha by introducing its contradicting qualities. If you were to follow these recommendations, other herbs that are suitable for your dosha type would include ginger, turmeric, Triphala, brahmi, black pepper, cayenne pepper, cinnamon, and cumin. While remedies mentioned above are excellent at keeping kapha in balance, it is also crucial for individuals with this constitution to avoid lifestyle choices and foods that might aggravate the predominant kapha dosha and throw it off balance. From chitrak to punarnava to bibhitaki, there are also various herbs that can aid one in establishing a stable and healthy kapha dosha balance. However, before considering the implementation of any of the presented remedies, one should consult a doctor to determine whether they are suitable for them or not. Furthermore, while studies and experience often prove the benefits of Ayurvedic solutions, there is no guarantee that they will affect everyone who uses them in the same way. Belapurkar, P., Goyal, P., & Tiwari-Barua, P. (2014). Immunomodulatory Effects of Triphala and its Individual Constituents: A Review. Indian Journal of Pharmaceutical Sciences, 76(6), 467–475.